The newest and featured gallery in the displaced mineral museum was the Copper Gallery. Tens of thousands of dollars of private donations were pouring in each year to improve this new gallery. When completed, it would have documented and displayed Arizona’s geological, historical, and economic connections to copper like nothing else in the state. Having destroyed that, and planning to replace it with “smells and vibrations” the AHS now boldly cloaks itself in the historic symbol for copper. 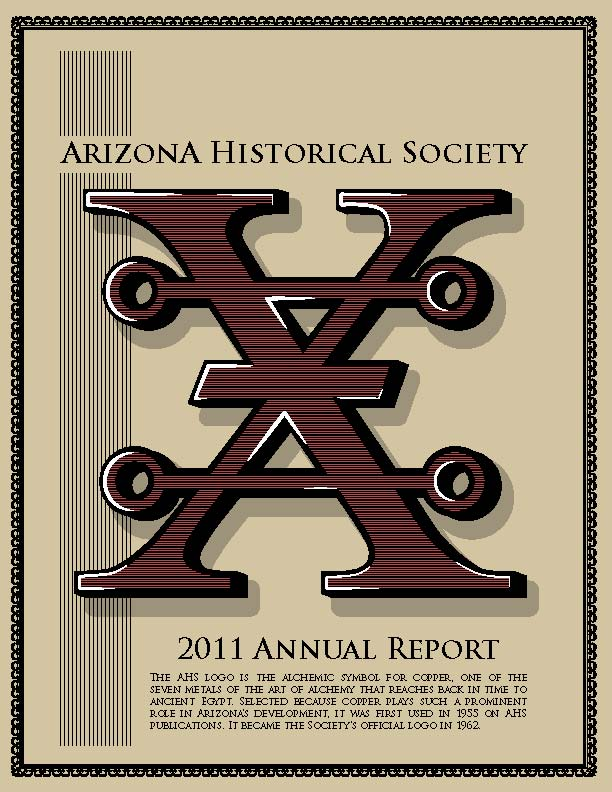 In the center of the Arizona Historical Society’s website (http://www.arizonahistoricalsociety.org/) there is currently a link to Arizona Mineral Education (http://www.azmineraleducation.org). 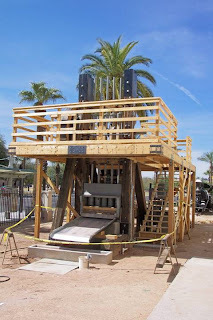 That site claims the historical societies new but thus far nonexistent Arizona Experience Museum is a “prominent resource” for mineral education. On May 8, 2010, the Arizona Mining and Mineral Museum had a grand opening for a new copper mine and plant diorama. The 29’ by 20’ HO scale display showed and explained the operation of a modern copper mine, including the extraction of copper from ore and the processing of copper into wire. The impressive, interactive exhibit was made possible by a $60,000 private grant to the popular and rapidly improving mineral museum and was designed and constructed by Sustainable Engineering, LLC. Later in 2010, the AHS executed a hostile, political takeover of the mineral museum because they wanted the building for their new museum. In 2011, they fired the self-supporting staff and volunteers, terminated the education programs, and closed the mineral museum. What did they do with the new $60,000 interactive copper mine diorama? They refused to allow it to remain in the building. Exactly what kind of exhibits does the AHS consider appropriate for a “prominent resource” in mineral education? The Arizona Legislature's Committee of Reference voted unanimously this afternoon to endorse continuation of the Arizona Geological Survey for 10 years, the maximum allowed by law. The recommendation will be drafted into legislation that will be presented to the full Legislature in January. 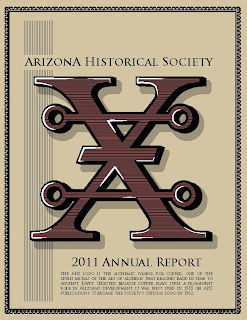 AZGS's statutory authority expires on June 30, 2012, and the public hearing today was to decide whether to renew, terminate, or merge the Survey. Senator Jack Jackson commented that the large outpouring of support for the Survey made it easier for the Committee to come to their decision. He noted that no other agencies going through their own Sunset Reviews had this kind of public support from their constituencies. The upcoming legislation presents an opportunity to fix part of the mess the Legislature made previously with the Arizona Centennial Museum bill. The new AZGS bill should include a provision transferring the Arizona mineral collection from the Arizona Historical Society to the AZGS. That would preserve the scientific value of the collection by reuniting it with the supporting data consisting of over a hundred years of mine and mineral records. 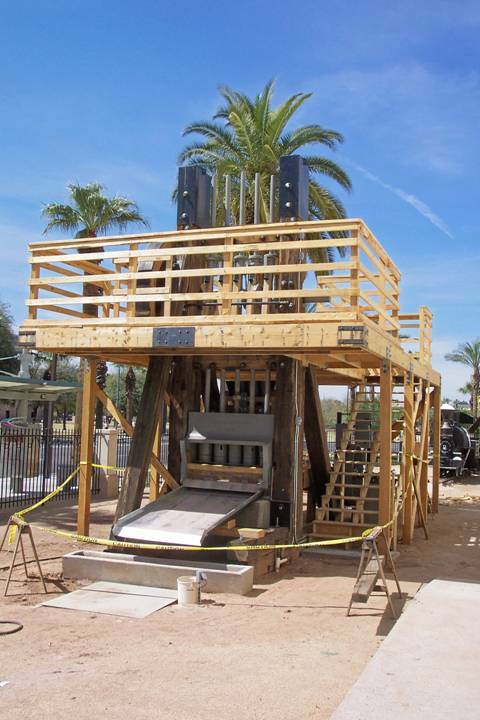 Will Arizona’s historic stamp mill be scrapped? Following their hostile takeover of the top rated Arizona Mining and Mineral Museum, the Arizona Historical Society closed it and disposed of the contents. At this time, the historic mining artifacts outside the building remain in place. That includes the restored stamp mill. All the AHS has ever said about these mining artifacts is that they will be “relocated”. Relocated to where? The Maricopa County landfill? In the 1890s, the 19 foot tall mill crushed ore at the Swallow Mine 17 miles north of Wickenburg, Arizona. Driven by a 50 horse power, single cylinder, Western States engine, it was capable of processing 8 tons of rock a day. It then remained intact but unused at that site until 1996 when the owner of the mine donated it to the AMMM. Volunteers then moved the huge mill, piece by piece, from the mine to the museum. In 2000, the volunteers began restoring the mill. Finally, in 2007, after thousands of hours of labor, it was again capable of processing ore, just as it had in the 1890s. It was then one only a few stamp mills in the USA capable of operating just as it did a century ago. 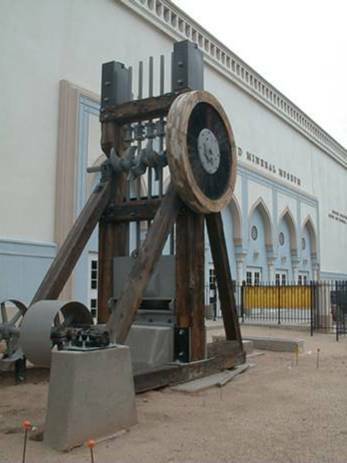 Visitors could watch the 1000 pounds stamps dropping 60 times a minute as they again crushed gold bearing ore. The photos below show the restored stamp mill, and the mill in full operational mode with a catwalk around it. Today, the AHS will not even allow the volunteers access to the mill to maintain it in operating order. The AHS is demonstrating complete disregard for Arizona’s mining heritage, and a total lack of respect for the volunteer restoration effort. Yet they still display an obviously insincere motto on their website; Saving Arizona's History since 1864. Why are Arizona taxpayers subsidizing private parties? Each year the Marley Center Museum eats up millions of tax dollars for staff, maintenance, and debt service. The Marley is located next to Papago Park in Tempe. The Arizona Historical Society is attempting to rebrand it as the History Museum at Papago Park, but the sign at the street and the letters above the entry still say Marley Center because of a million dollar gift accepted from Kemper Marley. The museum displays are all but hidden on the second floor, and the layout suggests it was not intended to be a museum at all. Rather, it was designed to be a party venue. At the time the Marley was built, a related news article stated that the AHS “consists in large part of rich people from "old" Arizona families, history buffs, and society matrons.” The history buffs were apparently in the minority, because the obvious focus of the Marley is the cocktail bar and multiple party areas. The entry way and party areas display no historical artifacts. Five years after the tax dollar funded building was completed, the second floor museum displays were only half finished. Today, the high dollar interactive displays are no longer maintained. The Marley continues to host weddings, proms, and parties, but draws only a trickle of museum visitors. Arizona taxpayers, however, continue to foot the bill for maintain and staffing the 82,000 square foot building. Especially in a time of financial crisis, this is a completely irresponsible use of public funds. Rather than correcting this problem, the Arizona legislature made it worse. In 2010, they passed the Arizona Centennial Museum bill, granting the AHS the authority to repeat their mistake.